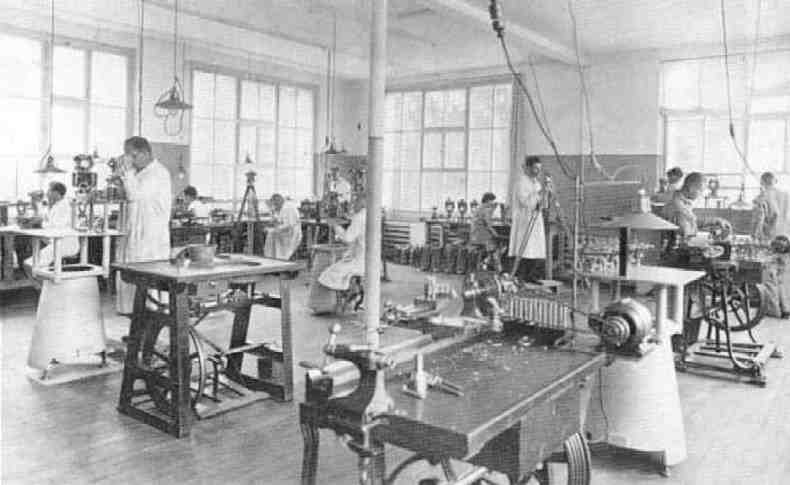 Figure 1: A peek into the 1932 workshop of Wild Heerbrugg (image collection Jürgen Dedual). Although this web site is mainly about instruments, it seemed incomplete if the firms that manufactured and/or traded them were not listed. Quite often these firms even have some sort of relation with each other. Notably is the firm Wild Heerbrugg, founded by Heinrich Wild who had worked for Carl Zeiss Jena before founding his own firm and would later leave his own firm and continue with Kern Aarau. Other manufacturers like Askania were clearly influenced by his ideas and subsequently asked to produce instruments for overseas markets to fulfil demands, like with Keuffel & Esser. Even a single company could produce off-springs like Carl Zeiss Jena that, due to the Second World War, was divided into an East- and West-Berlin company. And although they merged again after the fall of the Berlin Wall, this was only a partial reunion as a substantial part of the East-Berlin firm became independent as Jenoptik Jena. Not only the German speaking countries are represented in the collection. A considerable amount of instruments come from the French speaking countries south of us. Firms like the French Lerebours, Secrétan à Paris (these two also worked together), Société des Lunetiers, and the Belgium Tibaut Desimpelaere are all here, be it with quite simple instruments. At the far other end of the technical spectrum is the amazing 1980 SAT AGA-Minilir by the French firm SAT-SAGEM. Even our neighbours across the Northsea are represented, coincidentally both are 'linked' by their instruments: a 100ft surveyor's chain by Chesterman and a 66ft standard chain by Doyle & Son. Finally all these instruments had to be traded to reach their customers, a job well done here in the Netherlands by Ahrend. figure 1: History of buildings in Heerbrugg, figure "images/justierung1932.jpg".